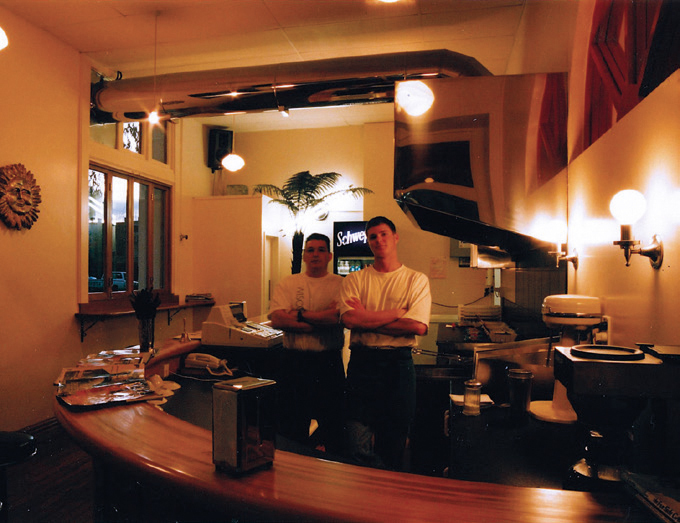 Andre bought his Papanui franchise after 21 years in the police force. ‘I knew the local Burger Wisconsin store well because I visited it regularly, and when it was time to leave the force I never actually looked at another business. I was able to work myself into it by buying a half share and working there while I was still a policeman. Maybe that was cheating? The training’s certainly a lot more organised today,’ he laughs. According to Andre, ‘A franchise works because it has tried everything and discarded the bits which failed. Burger Wisconsin has been through that and today’s franchise is proving its value by expanding, improving and staying ahead of the trends. ‘Mariposa has taken all the best parts of the original concept and built them into a thriving enterprise in which all the franchisees have an input. It has become what a good franchise should be: it has security, support and structure, with a high-powered marketing team and all sorts of business management systems to make your business easier to run – and more profitable, too. As Andre has discovered, Burger Wisconsin is now opening new stores at a great rate and is looking for suitable candidates for more locations all around the country. Conor is keen to attract ‘people passionate about food. We don’t necessarily want chefs or people with existing hospitality experience – we want people who want to do something different with their lives and can see we offer a great system, model and opportunity to build their own destiny. The cost of a new outlet will be between $300,000 and $350,000 +gst, for which you get full training, a brand new on-point fit-out and the opportunity to own a popular and, above all, profitable store. Remember, this is about return on investment.